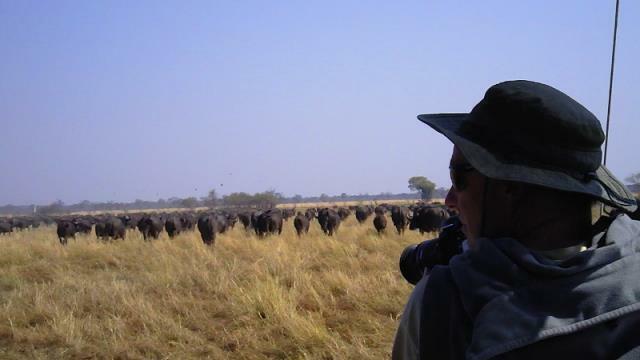 Our area of operation fringes the newly proclaimed Bwabwata national park which is home to 4 of the big five. The park is a stronghold for wild dog as well as sable and roan antelope. Many of the big game species can be viewed from the boat and because the land animals feel less threatened they can be approached in a less disturbing manner than by car. 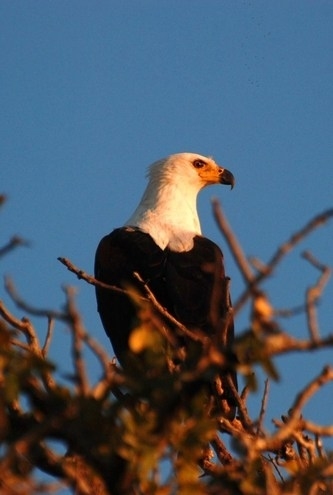 Extended trips may also take in Mudumu national park which skirts the Botswana international border. 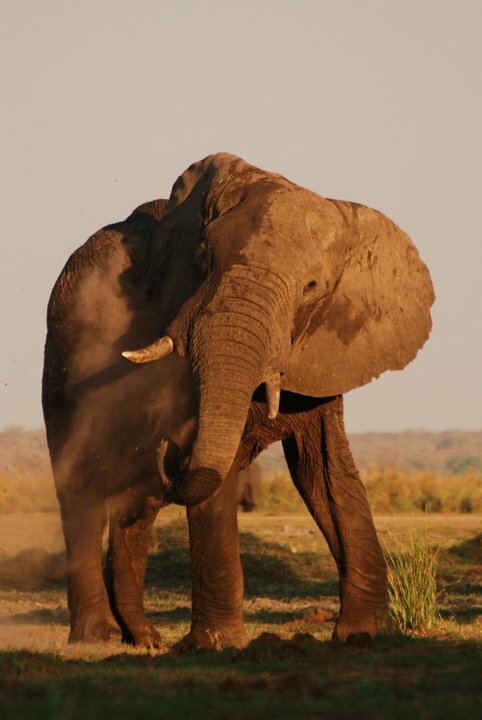 During the dry season vast herds of elephant move from the interior of the parks toward the floodplain and these can often be encountered crossing the river. The Kwando river is home to prolific numbers of hippo and nile crocodile along with spot-necked otters. 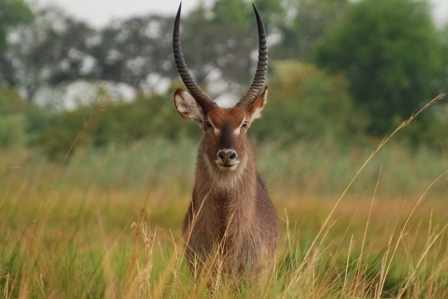 In the papryus on the river banks one can sometimes catch a glimpse of the rare semi-aquatic sitatunga antelope which has a very limited range in southern africa and seems to be on the increase here. Many of the best sightings at first light or late dusk and being based on the river means that we can exploit these times far from lodges and human activity in the park in places inaccesible to cars, the lighting on the river at these times of the day make for wonderful photographic opportunities. .
By car, in addition to Bwabwata there are 2 other Namibian national parks within a 1 hr drive from our base camp, Mavunje. Mudumu is an easy 1 hour drive south straight down the well maintained Linyanti road and is a mixture of mopane woodland and riverine forest fringing the floodplains of the Kwando. Many roads in the park are accessible by 2wd in the dry season but the roads close to the river consist of deep sand which may be impassible without a 4x4 vehicle. 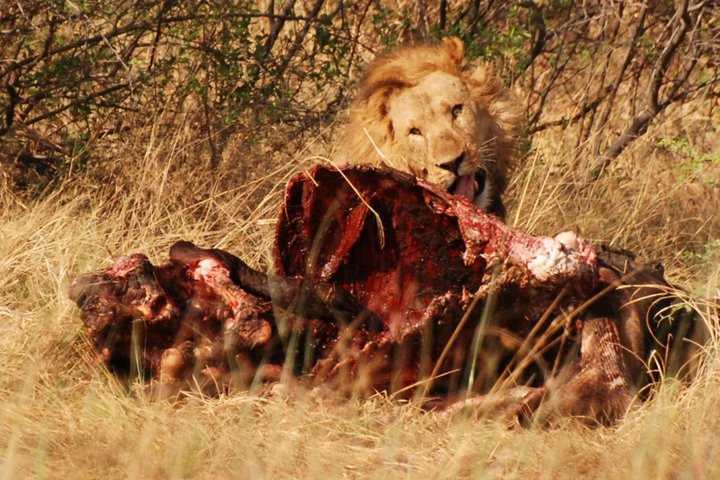 Notable species include Elephant, buffalo, roan, leopard and zebra with the occasional sighting of lion, wild dog and cheetah. Our area offers excellent birding opportunities and we have the services of a specialist guide available on request. 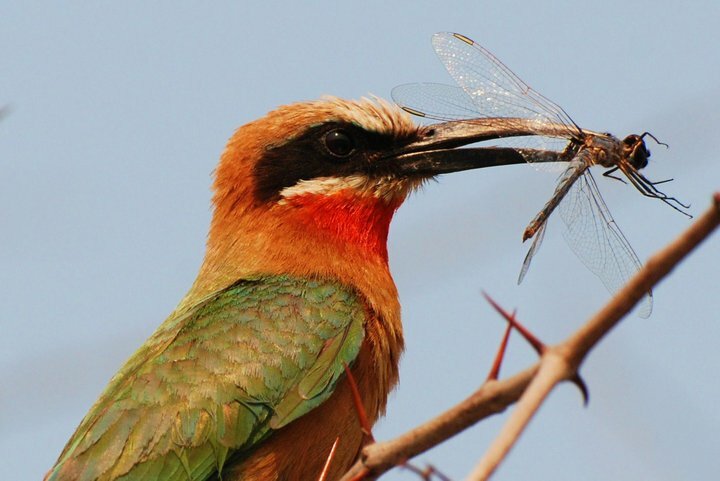 Birding is an expanding market and we are committed to offering birding groups high priority and cater to their specific needs. 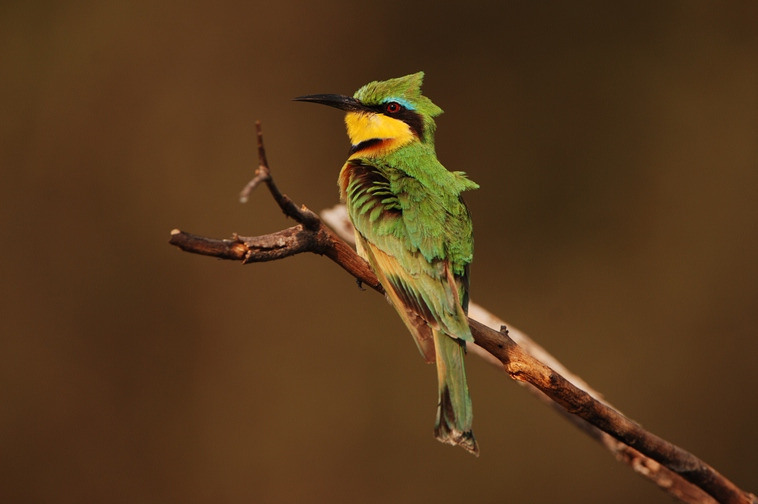 The river lists lesser jacana, black coucal, wattled crane and 2 species of cisticolas amongst its specials with the parks offering racket tailed roller,western banded snake eagle, shelleys sunbird and arnotts chat amongst others. For more info on specialist trips with overnight stops to get out early morning in search of elusive crakes and gallinules contact us. Fishing activities can either be incorporated into an overnight trip or our boat can be chartered on daily basis subject to availability. 4 people can fish comfortably from the deck with a maximum of 6 depending on the techniques employed. On charters tackle for up to 4 people can be provided on request . The entire Caprivi region is an anglers paradise with the Zambezi in the East, the Kavango in the West and the Mashi/Kwando/Linyanti/Chobe system sandwiched between the 2. The rivers cover 4 natonal parks between them and have year round opportunities for different species. Our operations focus on the Mashi/Kwando system which is home to more than 50 species of fish. 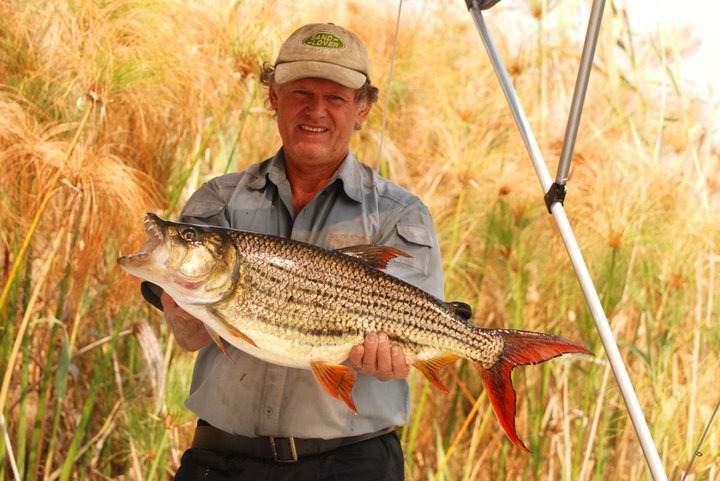 Many of the species are small and not target species for sport angling but the river does contain Tigerfish, various mouthbrooders like 3 spot tilapia and Nembwe as well as African Pike and Catfish up to 20 kg+. which originates in the Angolan highlands passes through myriad of reedbeds rendering it crystal clear even in times of high water. In addition to the tiger the bream/tilapia fishing is superb and flyfishing is becoming an ever more popular but challenging means of taking them on. Catfish are usually caught on the bottom with fish/meat bait but have been known to grab rapalas intended for tigerfish producing a huge struggle on light tackle. Whilst fishing one often comes across hippo which can make for an interesting situation and the game viewing in general can be stunning, particularly in the dry season with huge herds of elephant and buffalo coming to drink. The floodplain consists of the main river and hundereds of backwaters and lagoons most of which are inacessible from land but easily reachable on our boat. 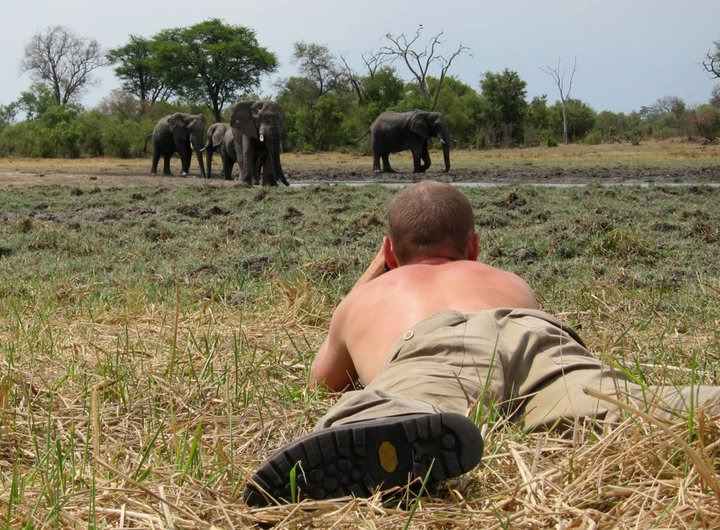 For the more adventuorus nothing beats a high adrenaline bush walk. it is perhaps the ultimate way to connect with Africa and can take in not only wildlife but the surrounding villages, giving clients the chance to meet and engage with the local people who are the guardians of the land and its resources. From a 2 hour stroll out of camp to an overnight hike to a more remote part of the area, please contact us for more info on the walks on offer.